As philanthropy chairman I had the opportunity of creating a brand new philanthropy event. Although this isn't a typical portfolio piece, I felt it exemplified my ability to create and organize something while connecting with the given audience (in this case, college kids). This particular experience taught me an extraordinary amount about communication, organization, resourcefulness and creativity. Due to my charm, or perhaps my ability to articulately beg, I was able to get all of the pies and supplies donated and a free DJ. Proceeds from ticket sales and participation fees raised just over $850 for Reading Is Fundamental and the Boys & Girls Club of Lansing. With 90 participants and roughly 250 spectators, the event was a huge success. 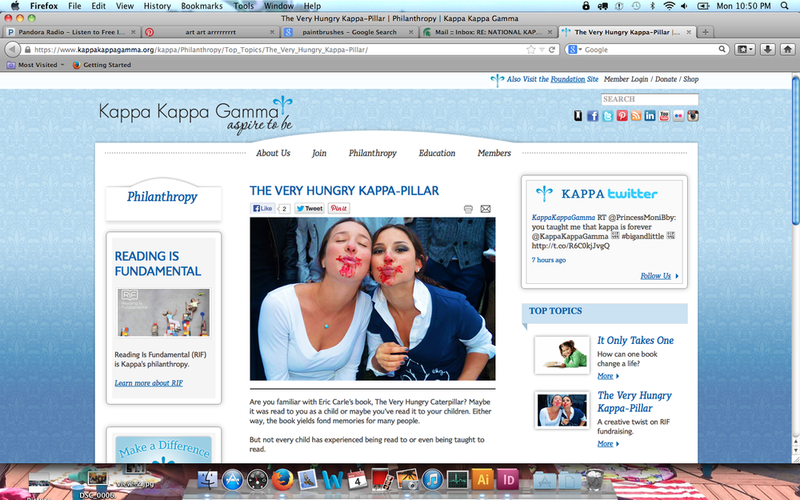 Nationals caught wind of it and for the first time ever, my story and my chapter and were featured on the national Kappa Kappa Gamma website. 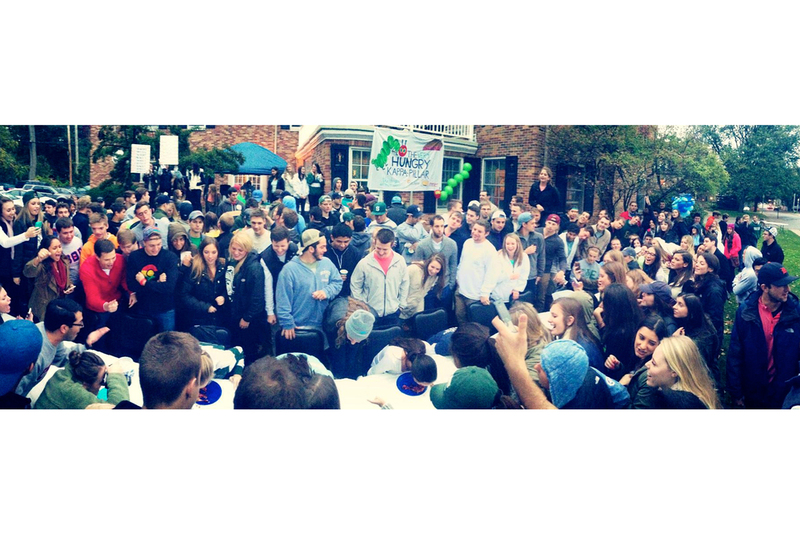 The event has spread nationally, and other chapters have adopted it as their own philanthropy as well.